I might be a bit slow off the mark here, but did you know Salvos Stores now offer a loyalty card to customers? 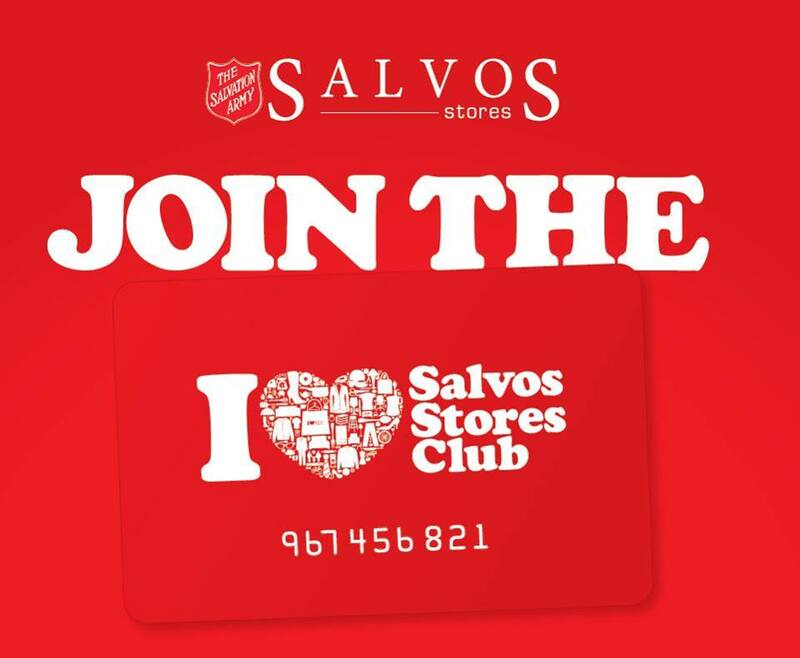 The Salvos Stores Loyalty Club Card scheme, introduced in March 2015, covers 215 retail shops across Victoria, South Australia, Tasmania, Western Australia and the Northern Territory. It doesn't cost you anything to join; you can register online and you will be sent your card in the post. The reward system works by gaining 1 point for every $1 spent. Once you hit 50 points, you can then start redeeming against purchases in Salvos Stores. 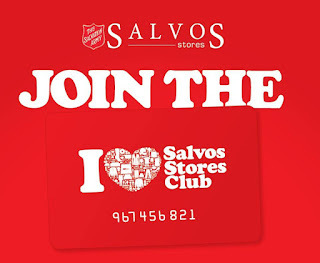 I've just registered for mine, you can do the same here > www.salvosstores.com.au/clubcard Alternatively, join up at your nearest Salvos Store. My parents call it the Sally Ann (they're american). : ) The Value Village here in Canada does the same thing! It's such a great idea!